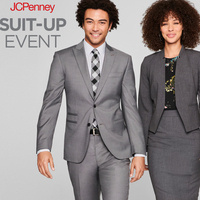 UND students are invited to JCPenney for an exclusive shopping event! You will find everything you need for your next job interview, internship, or career fair, including suits, dresses, sport coats, dress pants, shoes and accessories. With their U Card, students will receive an EXTRA 40% off clothing prices.